Some are spicy, others aren't. Galician cuisine is sophisticated yet simplistic. Quality ingredients and intimate preparation. Nothing pretentious. No elaborate, cutting-edge food science. Just good food. Here are my top five Galician dishes. Tell me your favorite Galician food in the comments. 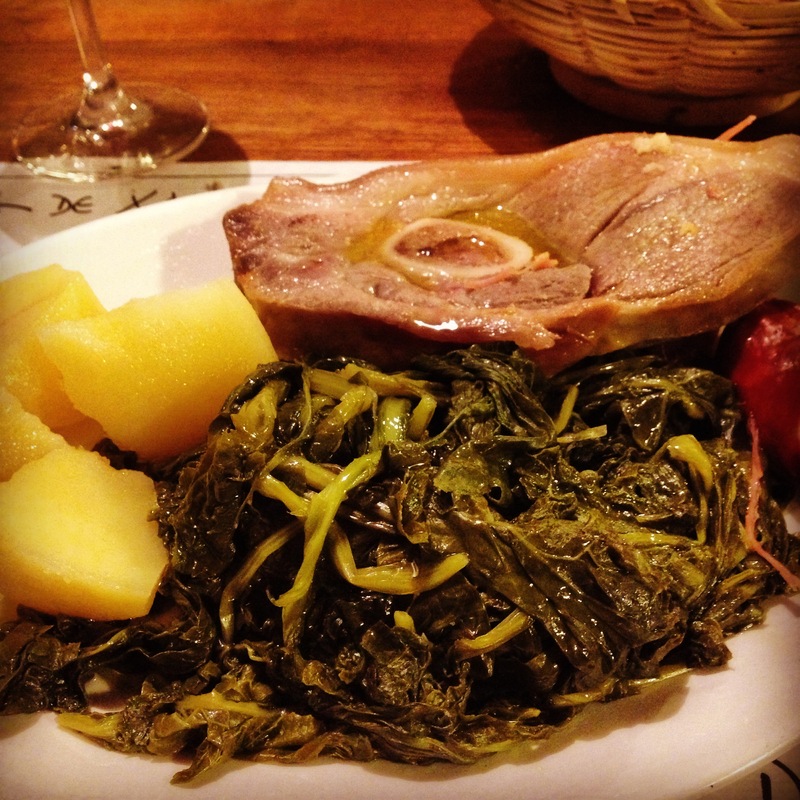 If you come to Galicia, this is the first dish you should try. You might be turned off by the tentacles or a ill-conceived notion of a rubbery taste. Don´t be. Galician octopus is tender, juicy, and best enjoyed with red wine. Don´t even try it with water. Oddly enough, the best Galician octopus is found in the interior, not on the coast. O Carballiño (Ourense) claims to produce the best pulpeiros (octopus cooks) in the world. On weekends in most Galician towns and cities you can find pulpeiros on street corners and a line of Galicians waiting for this splendid Galician dish. 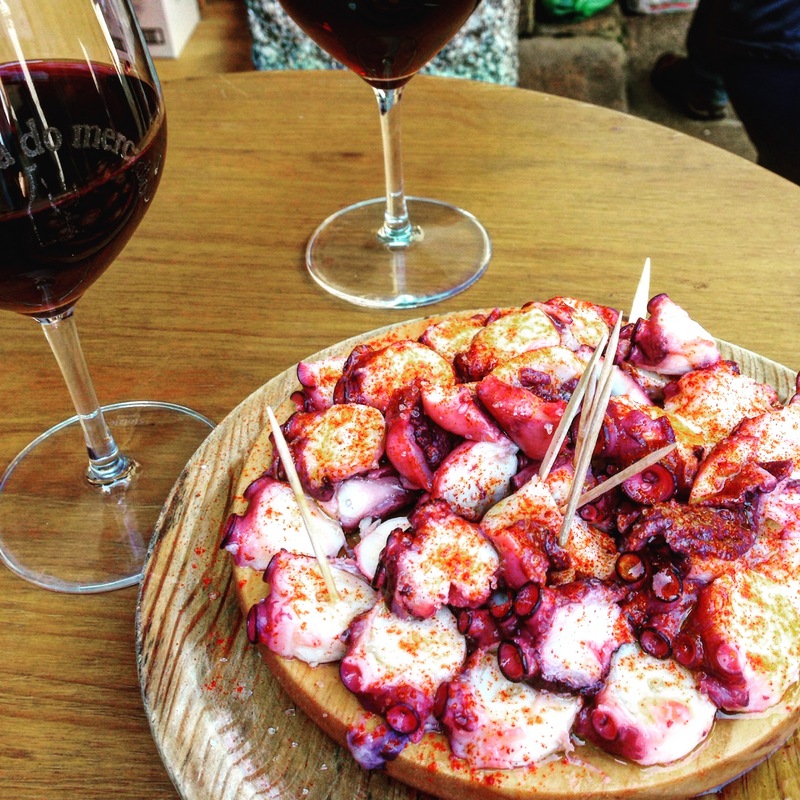 There are several different ways to serve octopus, but the traditional and most common is on a wood plate with olive oil, salt, and pimentón (paprika) drizzled and sprinkled on top. 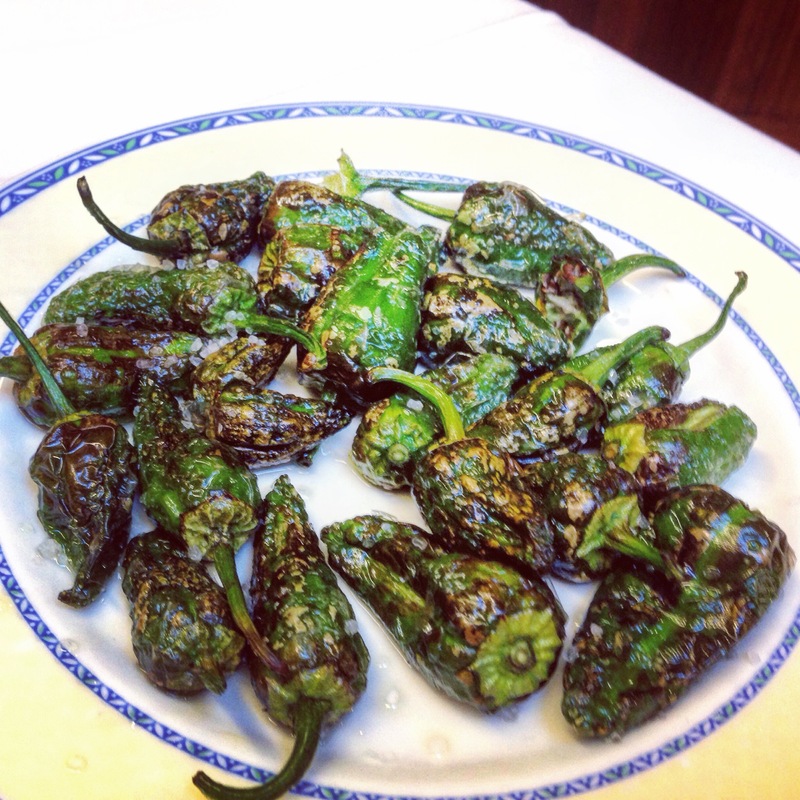 Uns pican e outros non–some are spicy and others aren’t–so the saying goes. To be honest, I’ve never had a spicy Padrón pepper and I have eaten my fair share of them. To be brutally honest, Galicians and Spaniards do not have a high heat tolerance. There may be the odd Padrón pepper that surprises you but they do not compare to some so-spicy-it-makes-your-eyes-water Mexican foods. With that being said, these little green peppers are simplistically delicious. Fried and then drizzled with olive oil and sea salt, they can be found in tapas bars throughout Spain. Franciscan missionaries brought the peppers to Spain from Mesoamerica, most likely from the Tabasco region in Mexico. If you want to be technical, they should be called pimientos de Herbón, the monastery in Galicia where the monks came from and returned to after proselytizing in the New World. You can find different varieties in Galician supermarkets, such as from Arnoia in Ourense, but true Padrón peppers are grown along the Ulla and Sar rivers near the town of Padrón. Eat them all summer long and see how many spicy ones you find. I am cheating by including such a broad category as shellfish but it is just too hard to choose. Shrimp, prawns, clams, razor clams, scallops, mussels, cockles, goose barnacles, and more. Galicia boasts the best shellfish, and seafood, in Spain and perhaps Europe. In reality, Galician seafood should be number one on this list but octopus is such a singular Galician dish and Padrón peppers are so wonderful that all of these wonders of the sea fall to number three on my list of favorite Galician cuisine. 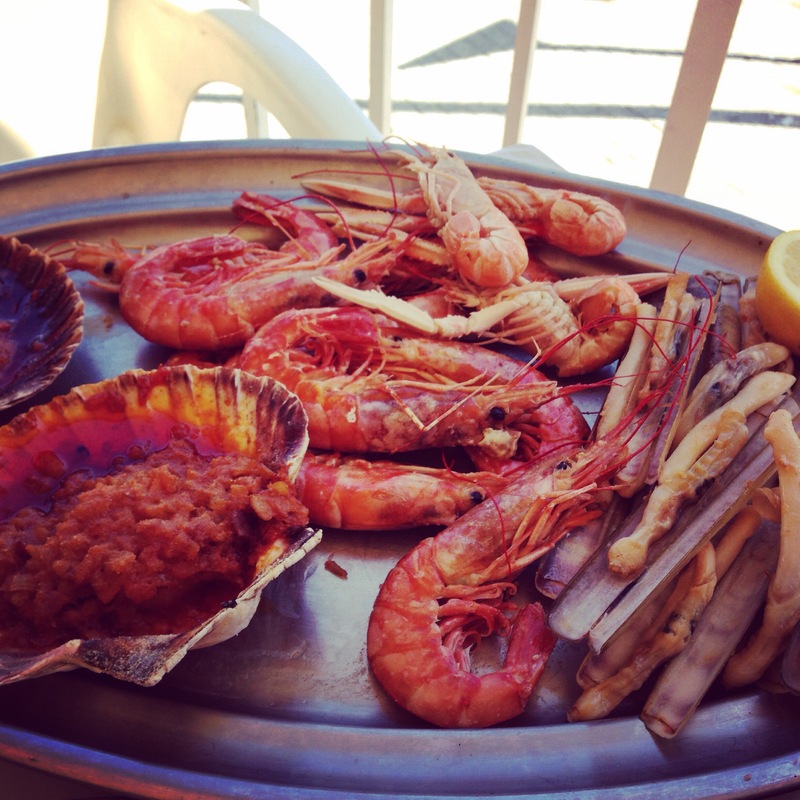 If you find yourself on the Coast of Death, the Rías Baixas, or any small Galician fishing village or large port city, do yourself a favor and indulge in a mariscada, a shellfish platter usually advertised at restaurants for two or more people. 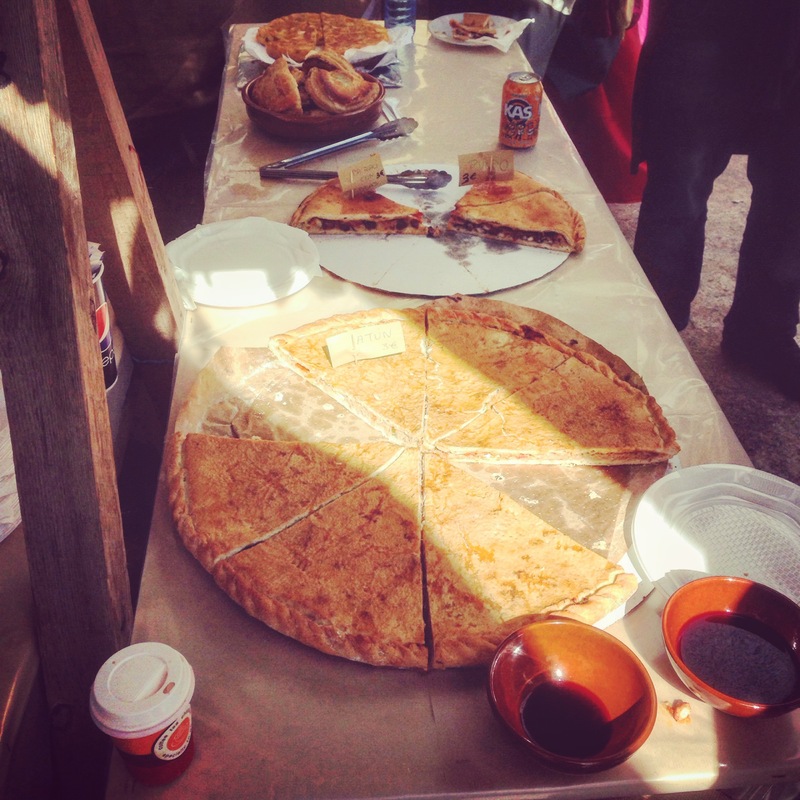 There are several comfort foods to get you through the cold, damp, and gray Galician winter. Lacón con grelos (pork shoulder with turnip tops) is my favorite. The picture above is from Dezaseis, a restaurant in Santiago de Compostela famous for this dish. I went to Santiago one December just to visit this restaurant and try their signature dish. It did not disappoint. If you are in the Galician interior and cannot get the cold out of your bones, find where the locals go to dig into lacón con grelos. Go with an empty stomach, as the plate comes accompanied with chorizos (spicy pork sausage), chickpeas, boiled potatoes, and the aforementioned pork shoulder and turnip tops. Typically eaten to fight off an Entroido (Carnaval) hangover. I am not a fan of (most of) the pizza found in Galicia. That has nothing to do with Galicia but with the major Spanish chain pizza franchises. Luckily, Galicia has empanadas. All different types of empanadas with an endless choice of fillings like beef, chicken, zorza (spicy pork), tuna, octopus, mussels, cod, veggies, and on and on. If you can find it in Galicia, you can put it in an empanada. Remember, this is a list of my favorite Galician food. Yours might be different. You might love raxo (fried chopped pork) like I do, or oreja (pig ear) even though I don’t. Or caldo gallego (Galician broth), callos con garbanzos (tripe with chickpeas), cocido gallego (Galician stew), or any other Galician plate. If you disagree with my list, tell me in the comments. Just don´t tell me oreja or cachucha (pig head) are the best. You are wrong. Make a top 5 of Galician food its complicated. Too many dishes for just five places. Rixóns, orella, zorza… But I miss a desert in that list, and filloas are a great candidate. Yes, it is very difficult to make a top five. I love zorza, raxo, and other dishes; however, I do not like orella! There aren´t any desserts because there will be a top 5 desserts in the future. Thanks for reading!